Summary: ( Source: Goodreads) It was just another after-work happy-hour bar downtown, where business professionals unwound with a few drinks, complained about the boss, maybe hooked up with someone for the night. Until something went terribly wrong. At first it was just a friction in the air. The noise intensified. The crow seemed oppressive. some sharp words were exchanged, some pushing and shoving. But that doesn’t explain who would unleash such horror—or why. Eve’s husband, Roarke, happens to own the bar, yet he’s convinced the attack wasn’t directed at him. It’s bigger than that. And if Eve can’t figure it out fast, it could happen again, anytime, anywhere. Because it’s airborne. Personal Thoughts: I loved this book! From page one I was hooked and just wanted to keep on reading. The plot was fast paced and full of action to keep me interested throughout the entire book. I was on the edge of my seat, especially the last few chapters where it was really juicy! 🙂 The writing style and the details for certain parts of the book were short and sweet while in others it was longer. J.D. Robb knows how to pack a punch, make it nice and sweet yet concise for more effect. It was great to see the whole cast of characters interacting with each other, such as Baxter, McNab, Peabody, Trueheart, etc. The dynamic between Eve, Roarke and Summerset was tested again and it was fascinating to be a fly on the wall. It is always entertaining to see Eve and Summerset bicker back and forth. Every time I read a book in this series, it feels as though these characters are old friends who I haven’t seen in a long time. I know their back stories, how they feel and react to different situations and their day-to-day activities. The best part is that I have one more book to catch up on and when I am done, it will be almost February when the next one comes out. 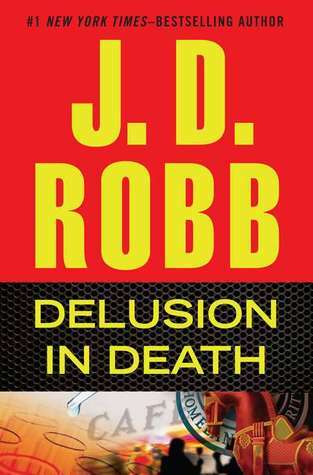 Categories: Book Reviews | Tags: delusion in death, eve dallas, in death series, j.d. 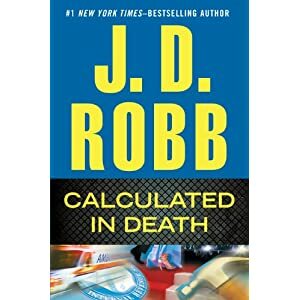 robb, nora roberts, peabody, roarke, transportation | Permalink. But when someone steals the files out of Marta’s office, Eve must immerse herself in her billionaire husband Roarke’s world of big business to figure out who’s cruel and callous enough to hire a hit on an innocent woman. And as the killer’s violent streak begins to escalate, Eve knows she has to draw him out, even if it means using herself as bait. . Personal Thoughts: I love the In Death series and await for each book anxiously. It says a lot about a series when you pick up a book, finish it and then give a long sigh when you find out the next one in the series is coming out in 6 months to a year. I have read some of the books in the series multiple times just to get my Eve and Roarke fix 🙂 but it is still a long time coming in between each book. 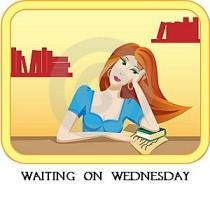 Luckily I have other books to enjoy until the next one comes out. Categories: Memes | Tags: calculated in death, eve dallas, in death series, j.d. robb, mystery, roarke | Permalink.